Cabo Sun - Welcome CABOHOLICS! 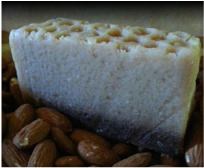 Artisan handmade soap crafted with quality ingredients that you can pronounce! 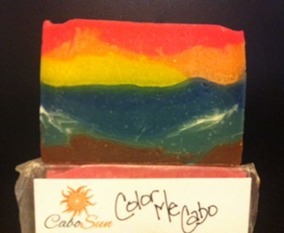 Cabo Sun - A gift for your skin. 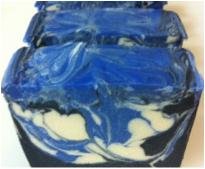 A blend of Lemon, rosemary, Sandalwood, Patchouli, Musk and Vetyver, Coconut Water, Goats Milk, Avocado Oil, Sweet Almond Oil and Cocoa Butter. Take our sunsets home with you and bathe in it daily while feeding both your Cabo addiction and your skin with skin loving ingredients like Cocoa and Shea Butter. Homemade almond milk and local raw honey lightly scented with vanilla. nestled in between Baja Cantina and the Tiki Bar!